Drug firm Unichem Laboratories today said it has not received any observations from the US health regulator after completion of inspection of its Ghaziabad facility in Uttar Pradesh. 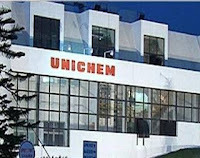 The company's formulation manufacturing facility at Ghaziabad was inspected by the United States Food and Drug Administration (USFDA) from April 16, 2018 to April 20, 2018, Unichem Laboratories said in a BSE filing. The inspection concluded with zero observations, it added. This inspection also covered one of the first to file molecules," Unichem Laboratories said.